Usually, I write about things people will be interested in. Not so today. Remember how much promise and hope and optimism we all had in our cleverly crafted bracket sheets a couple of weeks ago? Remember March Madness? A lot of things have happened along the way to the Final Four. Namely, Kansas. And Kentucky and Georgetown and Syracuse and Maryland. It’s been whacky. Though in 1st place in my office pool for the first two rounds, reality set in and dropped me as low as 16th out of 30. But I’ve headed back up to 12th and now 9th and I am currently the only one of the contenders who has picked Duke to win it all. It’s all about the Blue Devils now. If they win the national championship, I will be cutting down my own, highly local little net. For a lot of folks, the Duke Blue Devils are the New York Yankees. This is their 11th appearance in the Final Four under Coach Mike Krzyzewski. They’ve won three national titles, including back-to-back in 1991 and 1992. They were runner-up in 1990, 1994 and 1999. But this is also their first Final Four in six years so a lot of folks think Coach K and the Blue Devils have lost a lot of their luster. They’re like the ’78 Yankees, back in the thick of it after a long dry spell. I will admit there are times when I have hated Duke as intensely as any good Maryland fan should. But even when I was rooting against them, I have always held a grudging respect for Coach K. I think he’s a class act. So leaving the fate of my bracket in his hands is kind of like dealing with a Doctor you trust. They may not survive a really, really good West Virginia team. Michigan State has been to 6 of the last 10 Final Fours and has a great pedigree too. But after all that’s happened over the past couple of weeks, I still have a rooting interest in March Madness, both for the game itself and the potential $200 in office pool money and all the lobster and steak it can buy. 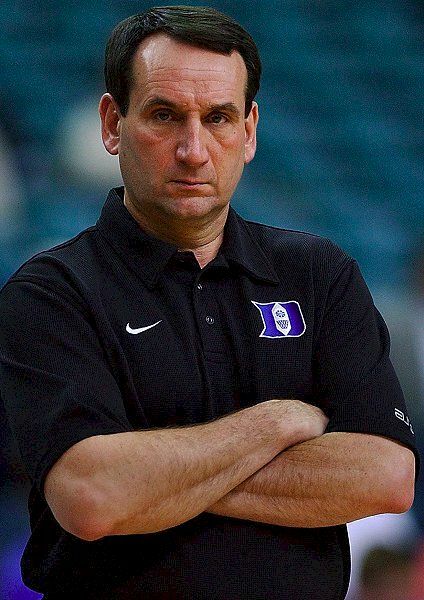 For that, I have you to thank, Coach K. Good luck, buddy. Go Atlantic Coast Conference!